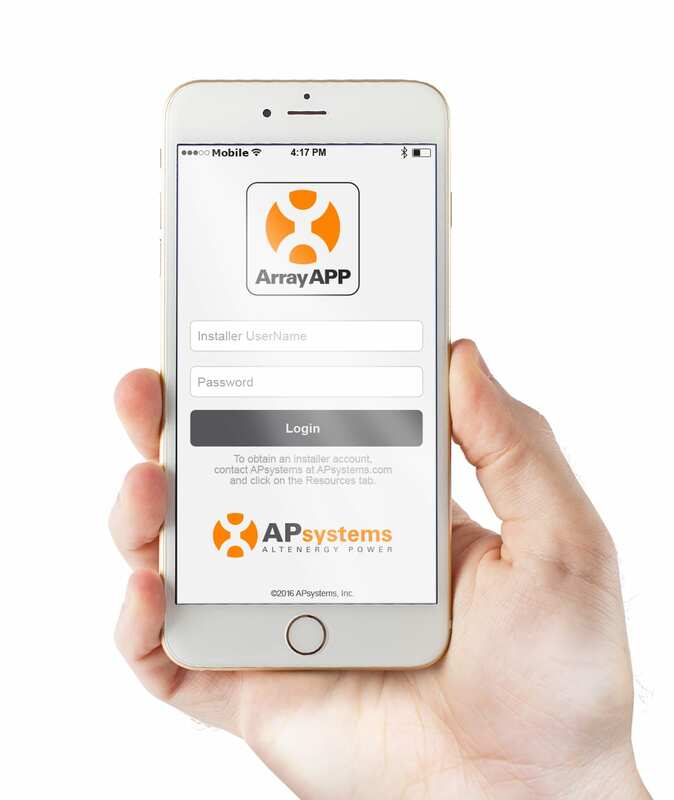 The ArrayApp is an all-in-one mobile application designed to streamline APsystems microinverter installations by allowing installers to map a PV array, commission the ECU gateway device and complete the entire customer account registration process in the field through their mobile device during or after the project installation. Microinverter serial numbers unit can be rapidly scanned using the app interface or, if preferred, a wireless barcode reader, and then configured into a virtual array map for convenient viewing of panel performance. Installers can then sync the microinverter serial number data with the ECU gateway for a commissioning step that’s as simple as the push of a button. Once the steps of the ArrayApp are complete, and all required electrical connections, system set up and commissioning are complete, system performance can be monitored through any web-enabled device via the APsystems Energy Monitoring and Analysis (EMA) at apsystemsema.com or through the EMA mobile application “EMA App”. The mobile app is available for both Apple iOS and Android devices. 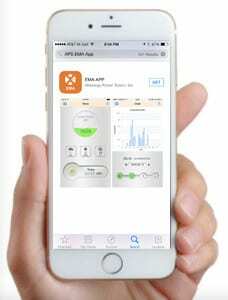 The Energy Monitoring and Analysis App allows APsystems microinverter system owners to track solar array performance in real time through their mobile device. 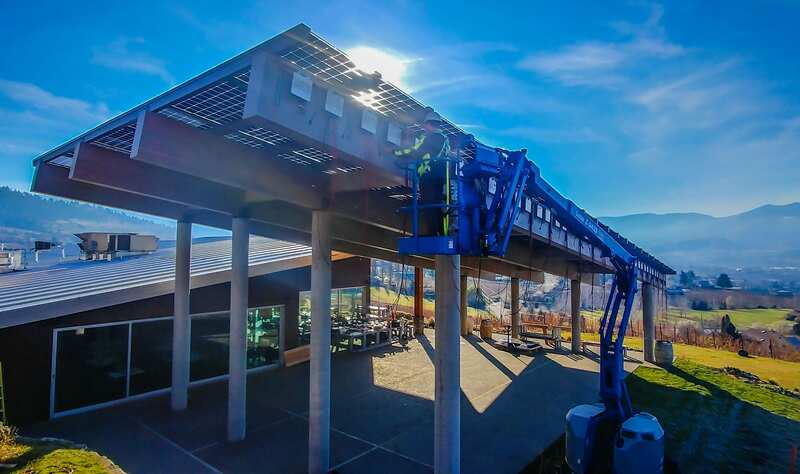 See system output by day, month, year and lifetime of the array, and calculate energy savings based on price per kilowatt hour. The app also displays environmental savings in gallons of gasoline, trees and carbon emissions. All data is displayed through an easy-to-use graphical interface. The APsystems EMA App is available for iPhone and iPad through the Apple iTunes App Store. The app requires iOS 7.0 or later required and offers English and simplified Chinese language support. The Android version is available for download in the Google Play Store. This smart phone application is designed to control and monitor an APsystems ECU-R as part of an APsystems solar microinverter system. App users can see the working status of the ECU-R and its inverters and can reset the device configuration. 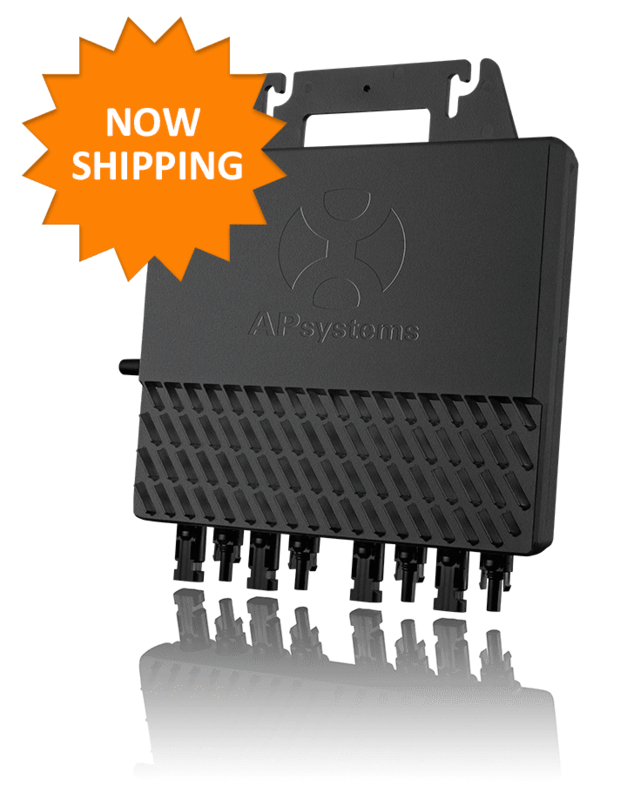 The APsystems Energy Communication Unit-Residential (ECU-R) is the information gateway to and from APsystems solar microinverters. 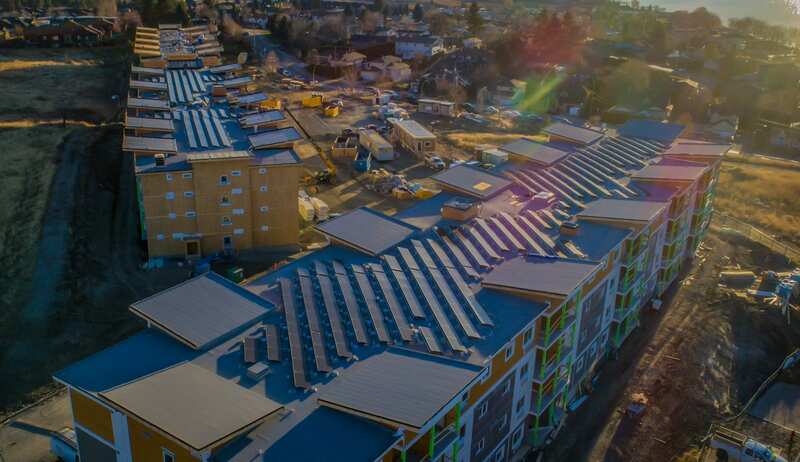 The unit collects module performance data from each microinverter unit and transfers this information to an online database in real time, requiring only an Internet connection (via wired CAT5 or Wi-Fi) and power cable. 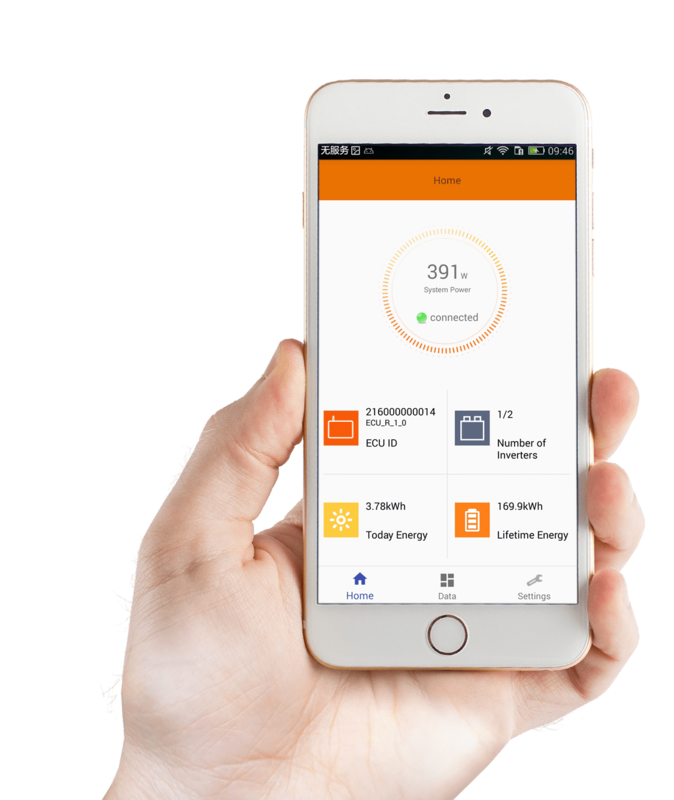 Through the APsystems Energy Monitoring and Analysis (EMA) cloud-based service, the ECU-R gives the homeowner precise analysis of each microinverter and module in their solar installation.